A cozy romantic mystery with suspense, Book 1 from The Mystery Angel Romances series. An angel hidden in every book . . . it’s up to the reader to figure out who. 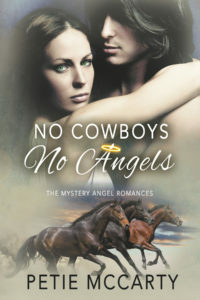 In No Cowboys No Angels, Kellen Brand’s inheritance turns out to be a whopper—one dilapidated farm in West Virginia and one guardian angel! Since Kellen is convinced no sane woman would choose to live in Riverside, she vows to sell her farm and quick. Her handsome neighbor Luke Kenyon must block the farm sale or risk exposure of his family’s secrets. While Kellen has located one potential buyer, she faces a town full of objectors. Someone is trying to frighten her off, and Luke is forced to step in and rescue her more than once. She turned sideways in her seat to make sure he could see her glare. “You can’t tell me what to do.” She didn’t want to go anywhere near the mill, but she wasn’t going to let him boss her around. But, I don’t want to. “Yes,” she yelled right back. He slammed on the brakes and turned to give her a glare of his own. She happily returned it. In a breath, he was across the narrow gap, his mouth closing over hers before she could mutter a reproach. Not that she wanted to. The kiss was long and deep, the pressure of his hand tight against her neck as though he would never let her go. She melted into his kiss and could feel the depth of his fear for her safety. She caught a quick breath. Her mind reeled in a jumble. Fearful he’d only kissed her to get his way, she needed to find out. She tugged him to her, wanting to kiss him again with an urgency she had never felt before. She could feel the fear in his last kiss. He had let her in behind his carefully constructed barricade. Luke hesitated, his lips close enough to hers the connection was almost imagined. She could feel the heat of him against her cheeks and chin. His lips brushed hers once and then nuzzled her cheek. Her heart stuttered a beat. Lastly, there are guardian angels in the book. Duh!!!! Trust me, you will NEVER figure it out. And no, it is not Luke. Even though, he pulls Kellen out of enough jams throughout the book. Ms. McCarty has written a book that had me from the beginning and never let up. I can’t wait to see what the next book in the series is about. Yes, I’m that invested in the series already. She had me at guardian angels and a cowboy on a horse named Windsor. Petie spent a large part of her career working at Walt Disney World—”The Most Magical Place on Earth”—where she enjoyed working in the land of fairy tales by day and creating her own romantic fairy tales by night, including her new series, The Cinderella Romances. She eventually said good-bye to her “day” job to write her stories full-time. 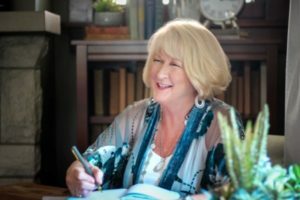 These days Petie spends her time writing sequels to her regency time-travel series, Lords in Time, and her cozy-mystery-with-romantic-suspense series, the Mystery Angel Romances. Petie shares her home on the Cumberland Plateau in Tennessee with her horticulturist husband and a noisy Nanday conure named Sassy who made a cameo appearance in No Angels at Christmas coming April 2019. Petie McCarty will be awarding a $10 Amazon/BN GC and three digital copies of Betting on Cinderella to randomly drawn winners via rafflecopter during the tour. 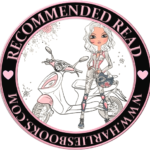 Thank you for your kind words and for taking time to review my story! Harlie’s Books ROCKS! I love stories with Guardian Angels.